Have you ever been in a car accident? Did you feel prepared for what steps to take? Was there anything you forgot to do? As a CSA in our Personal Lines Department here at R&R, I frequently assist clients after they’ve been in a car accident. Unfortunately, I was recently in one myself and learned what it’s like to be on the other side of the phone. Being the client was a great reminder about what steps someone should take immediately following their accident. I encourage you to keep these tips in mind, and never hesitate to contact your knowledge broker for more information. Safety First! Make sure yourself or the other party is not seriously injured. Call for medical assistance, if needed. If cars can be moved out of the road to a shoulder or side street, try and do so to avoid another potential accident. If they cannot be moved, stay in your vehicle with your seatbelt on. Don’t forget to put on your emergency flashers! Call the police. They can help get tow trucks, direct traffic out of the way, and can file the policy report right there. Having a police report on file for your insurance claim will be very helpful down the road. Don’t discuss fault with the other driver or a police officer. Leave it up to the officer and insurance companies to determine it. Just explain what happened so the police can document it on their reports, don’t admit fault or place blame on the other driver. Gather information. Take a picture of the other party’s insurance card and driver’s license if you don’t have a pen and paper available. Make sure to get their name, phone number, license plate number, insurance carrier and insurance policy number. If possible, take some pictures of the damage done on both vehicles. Witnesses. If there are any witnesses at the scene who have stopped to help, get their information as well. It may be important in helping determine who is at fault later on. Call your insurance agent. It may take around 10 minutes to get the claim started, so make sure you’re in a safe place and out of traffic to do this. If you are in need of a tow truck or a rental car, they can help you out with that as well. Seek Medical Attention. It may take some time before you realize that you've been injured. Once the shock of being in an accident wears off, you might realize you’re swollen or sore in places. It doesn’t hurt to get checked out by a doctor. Make sure that your doctors document everything, in case your pain gets worse later on. 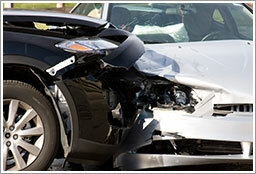 Contact a knowledge broker for more information on car accident safety. How should employers respond to these communications? Ogletree Deakins recommends the best course of action is often to respond the same way an employer would respond to an OSHA complaint letter. The employer’s goal should be to show the incident was investigated and corrective measures were implemented. 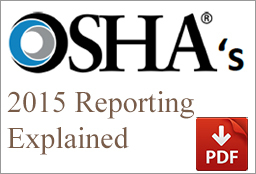 At the same time, the employer does not want OSHA to be interested enough to inspect the worksite. In addition, employers should be aware of potential civil liability issues. Rather than using Attachment A, you may also consider submitting a letter briefly describing how you investigated the incident, exactly what happened, and what corrective steps were taken (i.e., retraining or fixes to equipment). The letter may be supplemented with the First Report of Injury (if you are in Wisconsin) or the OSHA 301 form and proof of corrective steps. 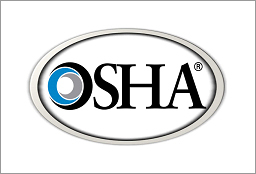 Employers must recognize that OSHA does not provide assurances that it will not cite an employer on the basis of the information provided. If you have additional questions or concerns, contact your knowledge broker at R&R Insurance! There are three common mistakes we find companies making when it comes to their accident investigation: Lack of training on why the accident investigation form is important; Poor accident investigation forms; and Lack of follow-through on valuable information gleaned from the accident investigation. This quick video explains these three common mistakes of accident investigation. Using accident investigation forms that concentrate too much on general HR information about the injured employee can waste valuable time during an investigation. 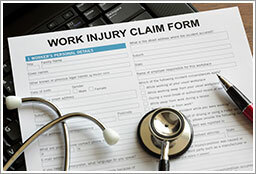 Streamline your accident investigation forms to allow the supervisor to focus on how and why the employee was injured. Lack of training on why the accident investigation form is important. Understanding why an accident investigation form needs to be completed, how to conduct an accident investigation and understanding an organization's ultimate goal after an accident are essential elements that if not adhered to - can lead to poor results. Often times great ideas spring from an undesirable circumstance. Accident investigation forms are there to capture the how and why of an accident and also corrective action steps the company can take to ensure it doesn't happen again. This is valuable information that should be shared with safety committees and multi-location staff to improve the overall safety of the organization. Don't overlook the follow-through on your great ideas! For more information about accident investigation, one of our upcoming accident investigation seminars held in Waukesha, WI, or any other risk management concerns, please contact our knowledgebroker, John Brengosz.